Phoenix housing market--a bubble about to pop? Phoenix housing market–a bubble about to pop? I respect Michael Orr and his opinions on the Phoenix housing market. 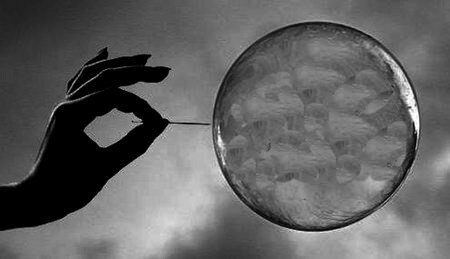 Word on the street is we are heading for another housing bubble. Nay Nay says Orr. At least not in the Phoenix area. Quashing rampant rumors about a looming second housing crisis on the horizon, real estate expert Michael Orr told KTAR’s That Real Estate Show some of the concerns about the market in recent weeks may be a little premature. Orr added that recent sharp increases in housing prices, especially in cities such as San Francisco and Denver, can mostly be attributed to the low supply of available housing for buyers. That, he emphasized, is not the current climate. Orr, the director for the Center of Real Estate Theory and Practice at Arizona State University, also said significant percentage increases in small, outlying areas of Phoenix are because those areas didn’t bounce back at the same time as central Arizona. He noted that talk about a second housing bubble also cropped up three years ago when prices went up by 30 percent in a single year, explaining that what we saw then was really a “springing back” from the very low prices when the market was really dominated by the bank-owned homes. Orr said we have since moved beyond that point with the return of a fairly stable and fair price situation.